Many embedded systems applications do not require a desktop environment or graphical interface on the screen (e.g. server), and you may want to only install the files you really need on the SD card either to reserve as much space as possible for data and/or your program or to reduce costs. 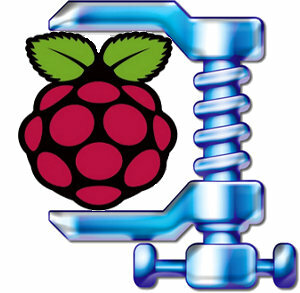 After searching for a minimal image based on Raspbian ARMHF distribution for the Raspberry, I could only find Linux Systems minimal image based on the Alpha version of the Raspbian Wheezy. Their compressed image is 109 MB in size, has a custom kernel, sshd and ntpd are enabled, but the wireless tools were deleted, and at the time the swap was located in another partition instead of a file inside the rootfs. The uncompress rootfs is about 414 MB (as reported by df -h when mounted as a loop device). I decided to prepare a minimal image myself based on the first Raspbian Wheezy release, that supports about the same features of the image mentioned above, plus support for the wireless tools. I’ll describe how I proceeded below, but for those who are only interested in the image, and could not care less how it was done, here’s the download link (84 MB compressed image). The username / password are the same: pi /raspberry. If you are mainly going to access your board via ssh, you probably don’t need those. I’ve downloaded the image via BiTorrent and copied it to the SD card using dd. During the first boot, I configured the keyboard to US layout, Bangkok timezone, enabled SSH and disabled X are started and did not resize the partition. We’ve got 1.4 GB used, so we’ll need to delete about 1 GB. The steps below are not optimized, and I’ve just described the way I did it. Now that’s more interesting! The first 3 files are the apt caches and the swap, we’ll take care of those at the end. Some icon takes appear to take a lot of space, the .a file show there are some development libs installed and the last file reminded me there’s some Raspberry media sample code. sudo dpkg --get-selections | grep "\-dev"
Let’s remove python and some other packages (LXDE, omxplayer…)that do not look necessary in a minimal image. After this operation, 234 MB disk space will be freed. After some more time trying to find non-essentials packages, I removed a few others, and call autoremove to delete unused packages. Now, we can remove the SD card from the Raspberry Pi board, and access it from a Linux PC to create an image. Done. We now have a 84 MB minimal Raspbian image. It’s certainly possible to even go slightly lower, as a basic debootstrap of Debian unstable comes out at 269MB uncompressed, and using Emdebian Grip might even allow a ~100 MB uncompressed rootfs with all the features we need, but I doubt this option is available with Raspbian mirrors (TBC). Deleting the whole /opt directory is not a wise thing, because you will lose the ability to change resolutions and use OpenGL. I guess you can remove “include” and “src” directories, however “bin”, “lib” and “sbin” should be spared. It would be great if you release this article’s instructions as a shell script, so everyone can follow your steps easily! Hi, thanks for the image. removing useless packages is a good thing. But removing files from packages is not a good idea. Are there any other files deleted like this? That’s because openssh-server is not installed in this image, only dropbear is installed. dpkg -L openssh-server gave me a list of files, which was much smaller than now after I reinstalled. I’m not sure, but if you look the instructions, I removed all installed packages with the string “ssh”, before installing dropbear. So I guess it’s possible dropbear uses a subset of openssh, but I don’t know the details. Thanks for this! Definitely going to try this!! Using “apt-get purge” instead of “remove” will drop the configs and save some more bytes. When will someone produce an image which is actually shrunk to fit? It’s easy to expand an image once its copied onto a card, not so easy to shrink one down using loopback or some other method beforehand. I want to run a minimal distro on 512Mb card. I can’t be the only one? It’s possible to write a script to do that. I wrote one for another platform (Mele A1000): https://github.com/cnxsoft/a10-tools/blob/master/makeSD.sh. Of course to be used with RPi it would have to be modified. You an also do that manually, as the rootfs in the image above should fit into your 512 MB SD card, simply mount the image, and copy the files to your SD card with cp -a (assuming it is already partitioned correctly). will damage the package consistency. But it may require to build dropbear, instead of using the debian packages. Another solution could be to ask Raspbian maintainers to enable sftp support in dropbear package. Not sure if this is suitable. I’m also not sure of the amount of space saved between dropbear and openssh, so it may not be worth it. thank for this great tutorial. I’m on a 2GB disk and after yate and dc++ hub (probably 4MB), and it’s out of space. It’s terrible how much space is wasted. Do people even use that crap? They installed the main packages they think people will use, but if you want to use a smaller SD card, then some work is needed, which is why I provided this image and instructions. FWIW http://www.raspberrypi.org/phpBB3/viewtopic.php?f=66&t=17028 offers a ready-to-run minimal Raspbian. Having a smaller image is a very appealing idea. I just wanted to give the minimal image a try in the hope to use one of my 128 MB or 256 MB SD cards. Unfortunately the image is tailored to a 2 GB card. How much is actually needed? Would it be possible to provide a smaller image? I tried to copy the image to a 256 MB card and to fix the partition table, but fdisk complained even about the start of the partitions so I refrained from further experiments. The compressed image is 84MB, but it’s just over 400 MB uncompressed. If you want to install Linux in a 256MB SD card you can try Slitaz armhf: http://www.cnx-software.com/2012/12/15/slitaz-armhf-46mb-linux-distribution-for-raspberry-pi/ The binary image is for 512MB, but the rootfs is just uses ~18MB, so it might work with dd + resizing the partition, but the safest way is probably to mount the image manually in your PC and copy the files with “cp -a” to your card. I am pretty new to this and recently I downloaded one of the images online. However, this one had at boot a logo which I wanted to remove. If I use your image, will there be an option to enable splash or a simple picture as log at boot time? If so, in which file can I change the boot logo? Ps. : nice work as you make it sound easy even for a newbe like me. Installing Magento on a Raspberry Pi | Bits! You don’t need either when you’re not using a graphical environment, do you? Search online for a “plymouth” tutorial. “plymouth” allows you to have a custom boot animation/logo. In doing all the stuff from your post and stuff mentioned in the comments, I get an rootfs of 675MB. There is still the icon-theme.cache around (74MB), apt’s cache not cleared, logs still in place etc. So you could say can squeeze another 100MB out of it (maybe more). I get an ‘sfill’ command not found error on Ubuntu 12.10. Neither it is available in repository. How to install this minimal image back into the pi? You can install the image with dd or Win32DiskImager as any other SD card images. You may also want to use gparted to extend the rootfs to the full size of your SD. Great read…I’m just trying to do the same with the current version and I’m a little confused where you got your offset & block counts for the mount & dd commands? What’s the password for user ‘root’? Enter ‘sudo passwd root’ to set the password for root. I download this image and it’s fantastic awesome. I clone the image to the SDD-Raspberrypi and export the public key to access password less. After I had clone the same download and I cloned another SDD. All the copy’s of this image have the same private key. As soon you install this image you must to generate a new ssh_keys. Please in future releases please delete the keys before generate the image. NB also the image have keys for openssh If some one install openssh the host it’s vulnerable too.